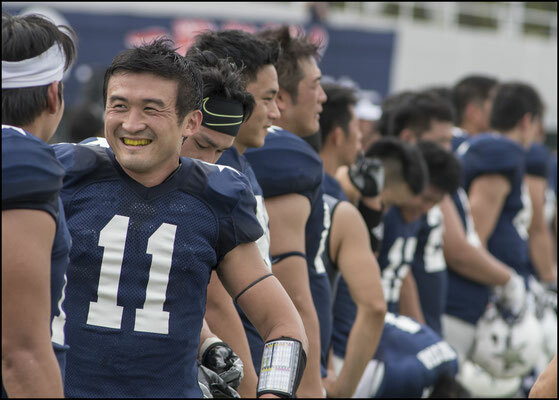 Asahi Beer Silver Star took the luster off Fuji Xerox Minerva AFC’s return to X1, beating them 38-6 at Fujitsu Stadium on Saturday. 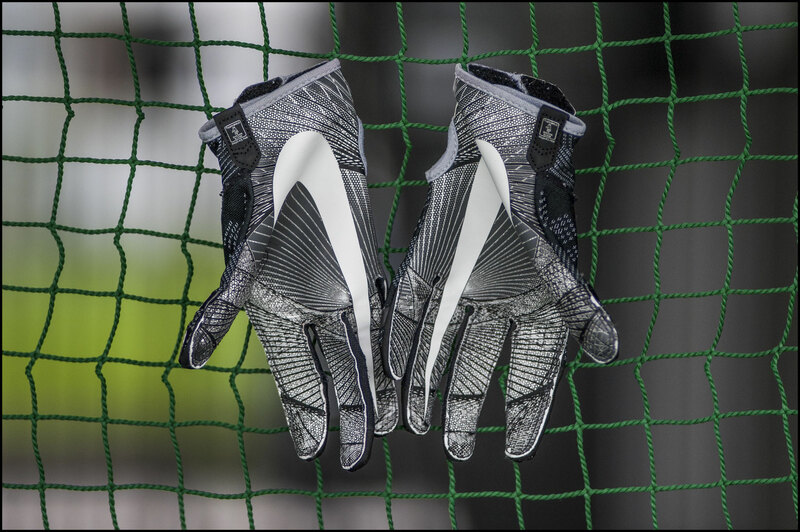 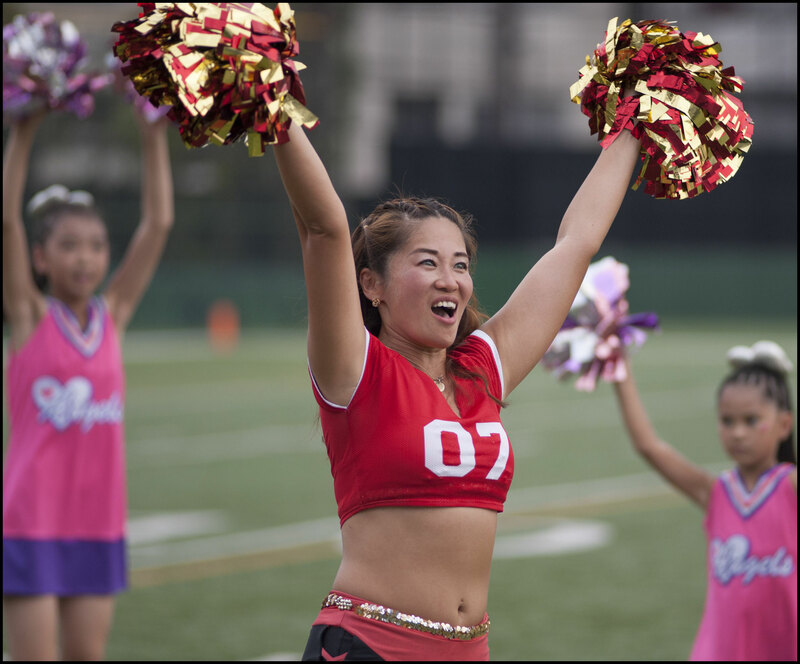 The hot sticky weather cooled just in time for kickoff in front of an enthusiastic crowd. 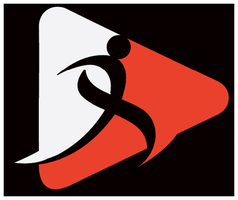 Minerva was playing it’s first top flight game in four years having defeated Bullseyes in a promotion / relegation playoff last December. 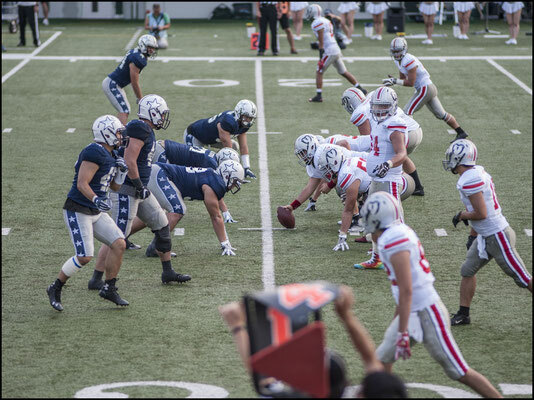 Though the score was lopsided, and Minerva at times appeared “out of its league”, they made Silver Star work for every yard and gave up few big plays. 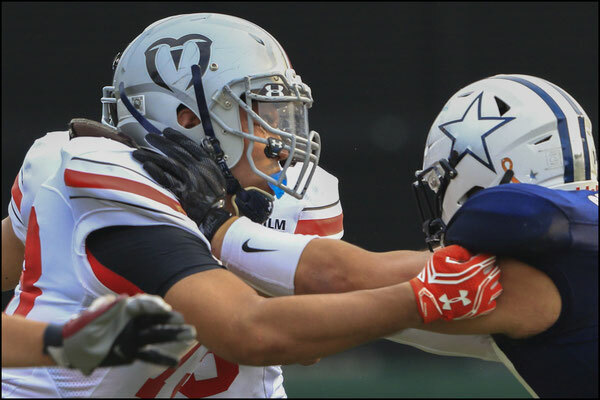 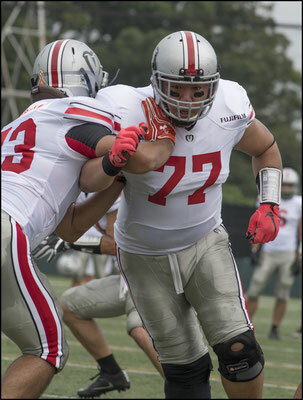 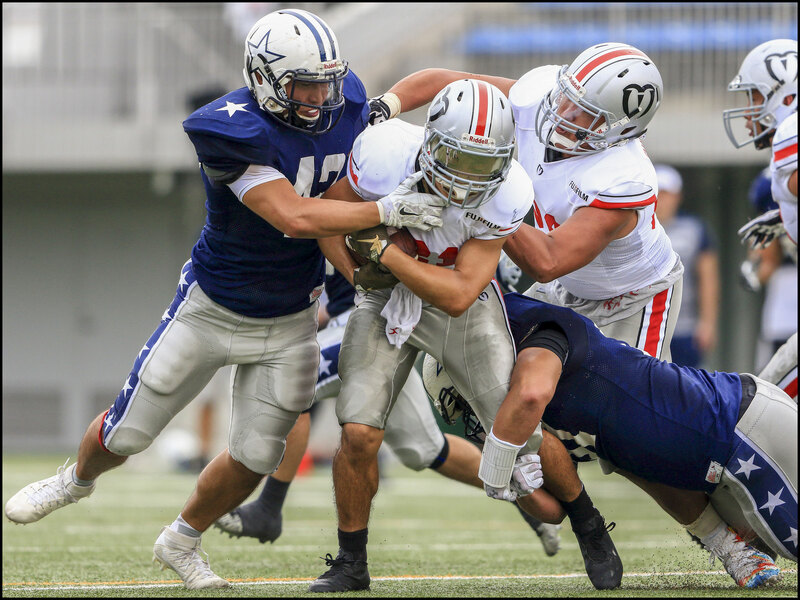 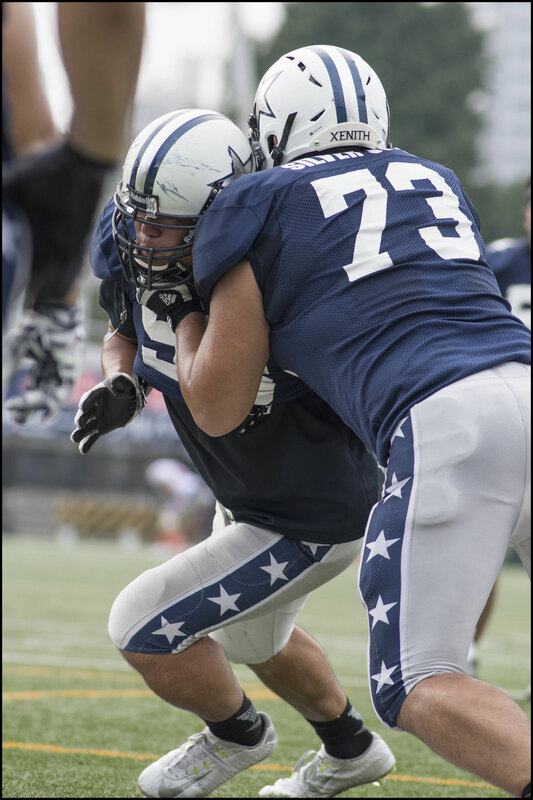 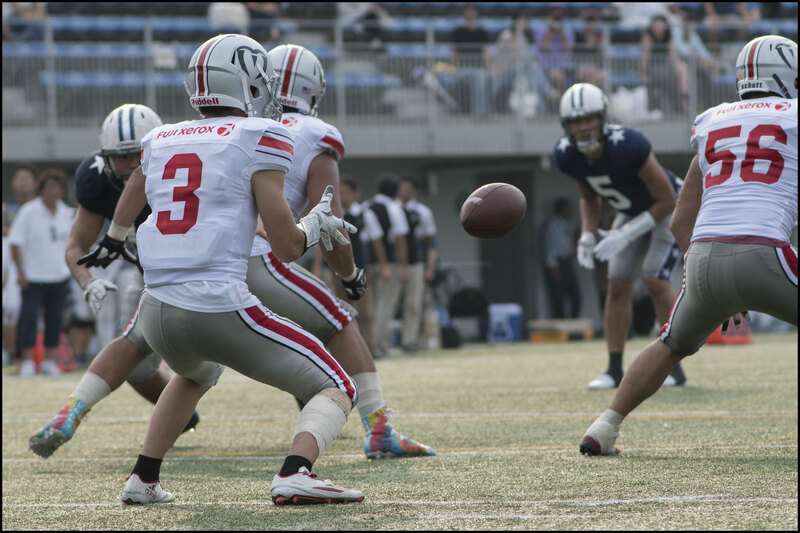 Things started badly for Minerva when, on the very first series, QB Kento Sasa threw an interception in midfield right into the hands of linebacker Naoto Yoshihara. 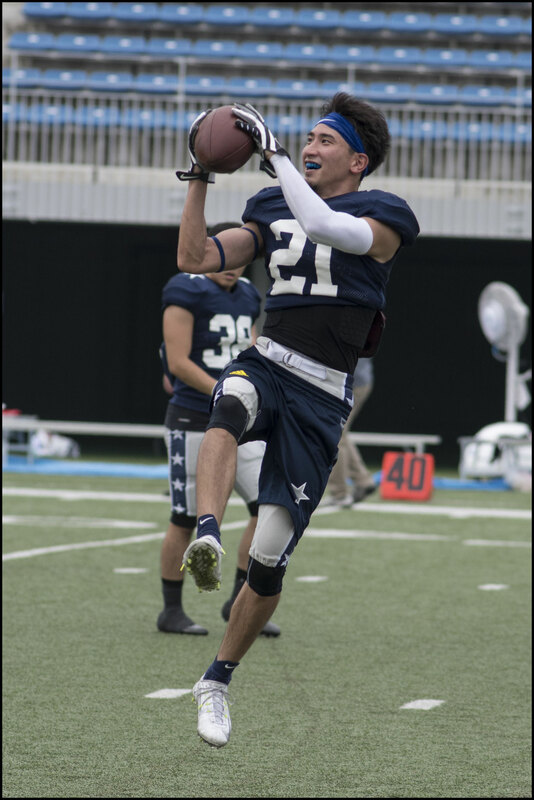 Silver Star marched back the other way, keeping a balanced run / pass ratio, and seven minutes in got the first touchdown of the day, a play action pass in the middle of the end zone to streaking wideout Kazuki Kobayashi. 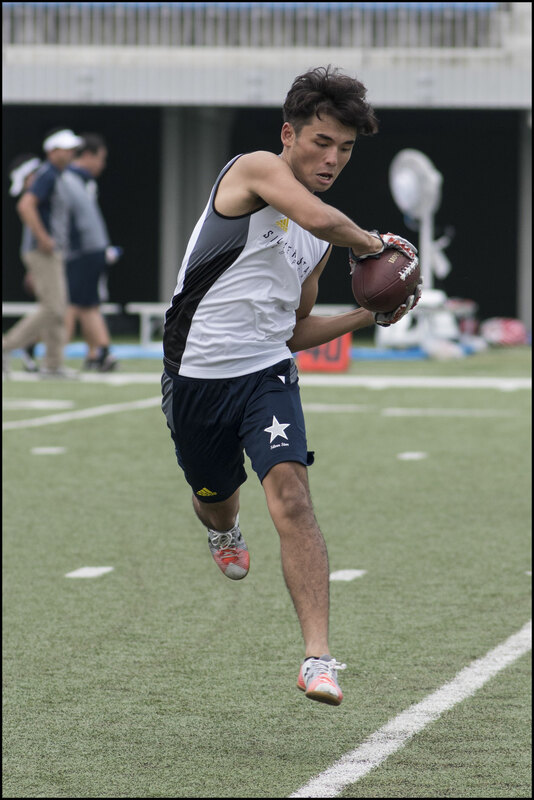 Minerva was undaunted though, and in the next series put together its most consistent drive of the night. 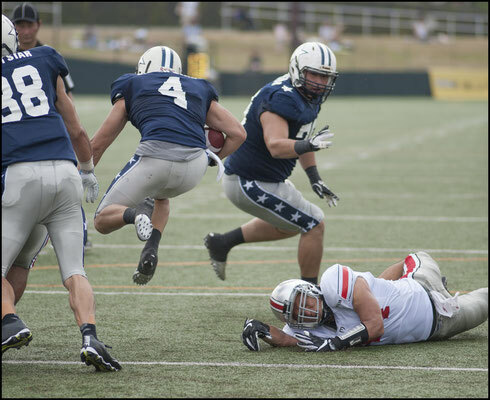 Starting with good field position at their own 48, they took only two minutes to go 52 yards. A highlight of this drive being when Sasa, just as he went down, shuttled the ball off to running back Tatsuya Hirosawa on third down, who got just enough yards to save the series. 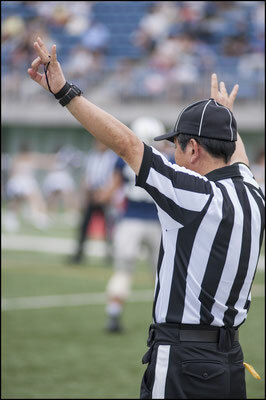 This was followed by a long pass up the middle to the eight-yard line. 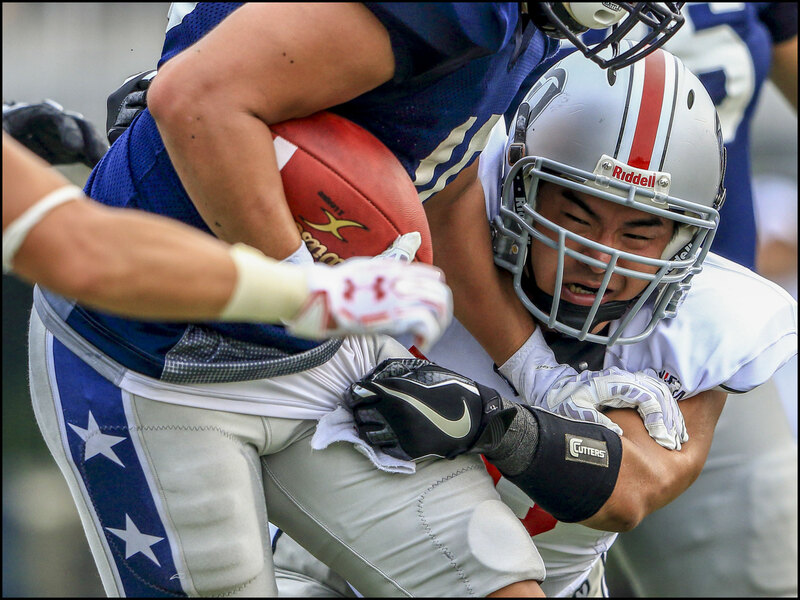 A sly hand off to Hirosawa for an easy slide into the end zone got Minerva on the board. 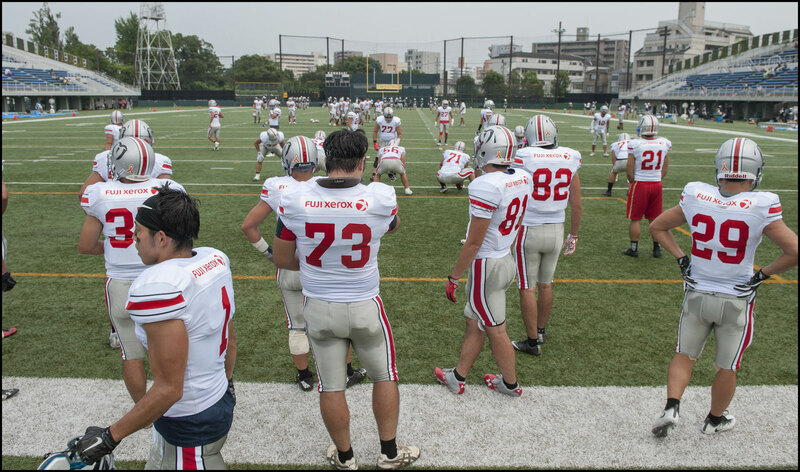 The extra point was blocked however, and their offense wouldn’t achieve the same fluidity again all game. The following kickoff, despite being caught inside the ten-yard line, was returned for a touchdown by Silver Star’s workhorse for the evening, running back Yoshitaka Yamawaki. 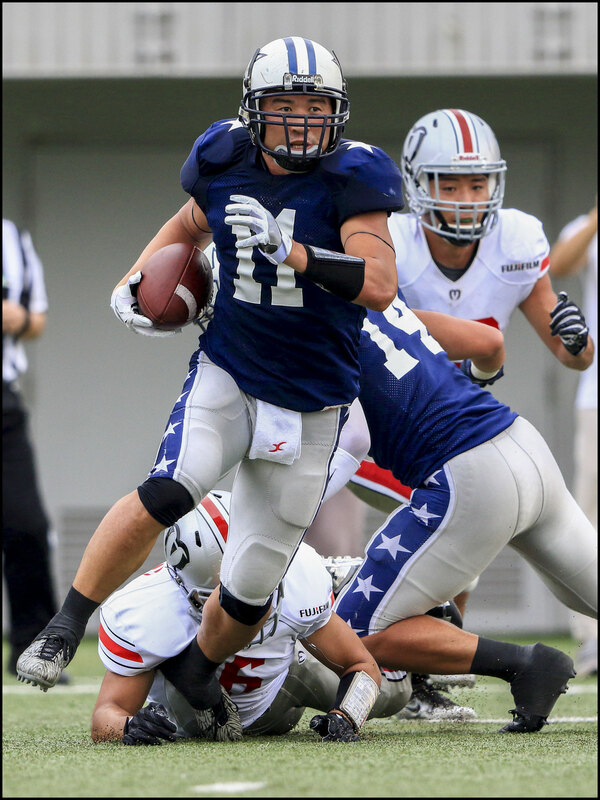 Besides being the go to man on kickoffs, Yamawaki gained 33 yards in eight attempts, mostly on crucial downs. 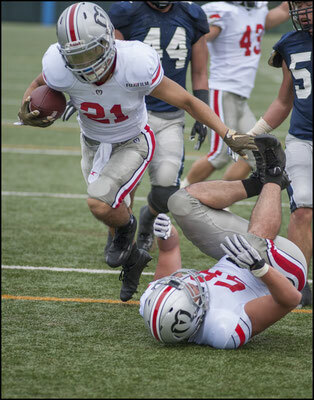 Minerva lost a fumble on their own 37 on the next series and the tide started to turn solidly in Silver Star’s favor. 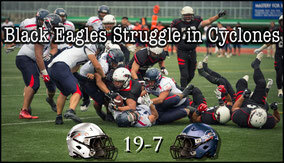 They went 37 yards in six plays for their second touchdown. 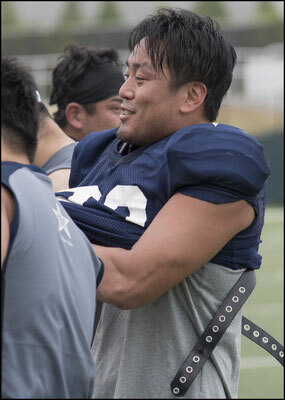 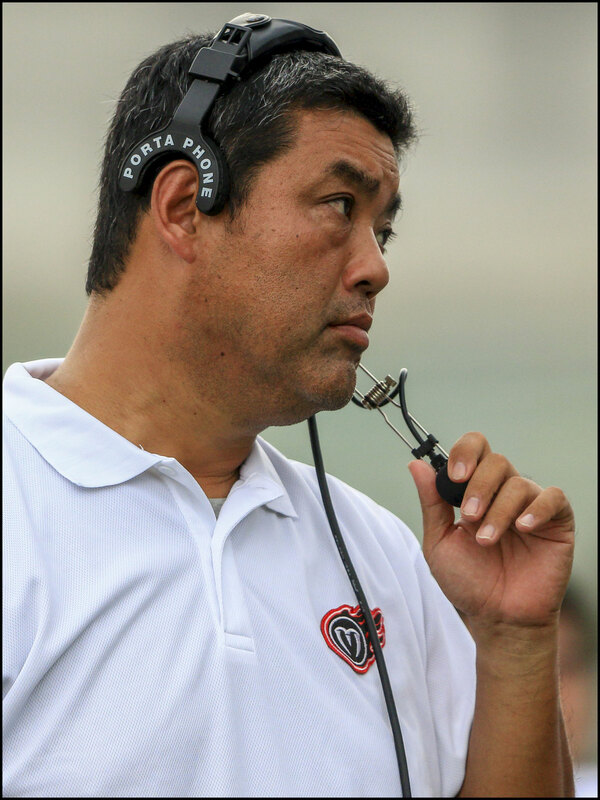 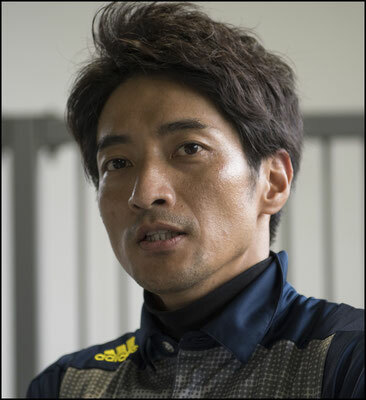 Rookie head coach, Hayato Arima started to pull plays from his bag of tricks. His team faked an extra point kick, running it in for two points. Silver Star continued innovating and didn’t actually punt, even when the situation called for it, until the fourth quarter. 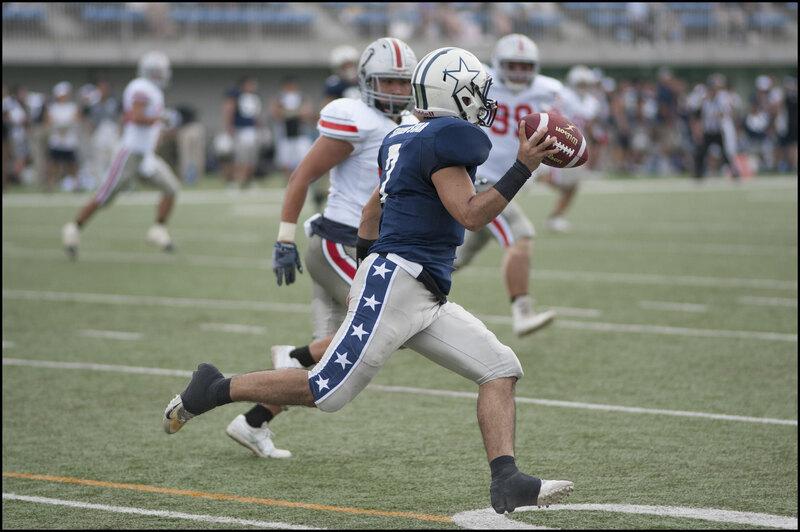 In the second quarter, Arima’s team attempted a long pass attempt on 4th down despite being on their own 42 and had with a comfortable lead. 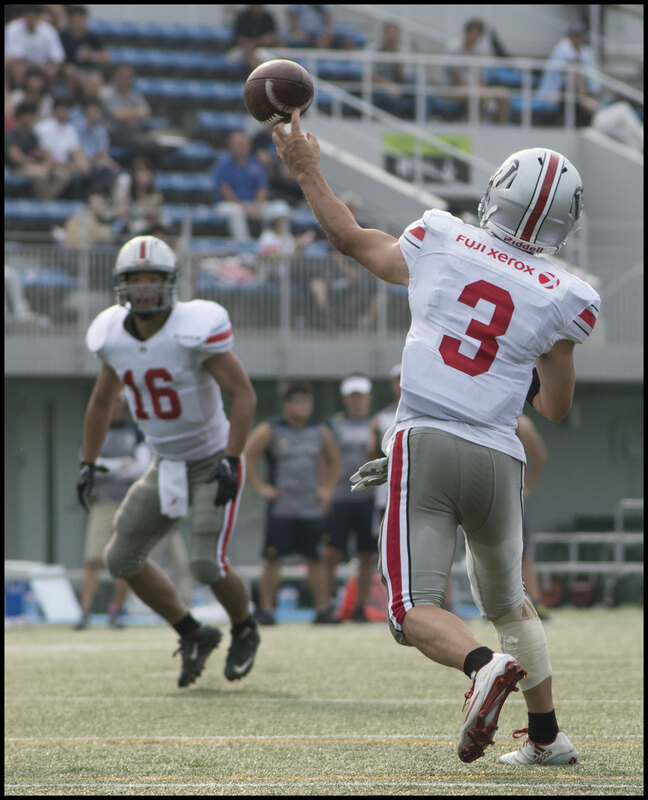 The coach later said he felt every down should have every possibility, whether it be a run, a pass or a kick. 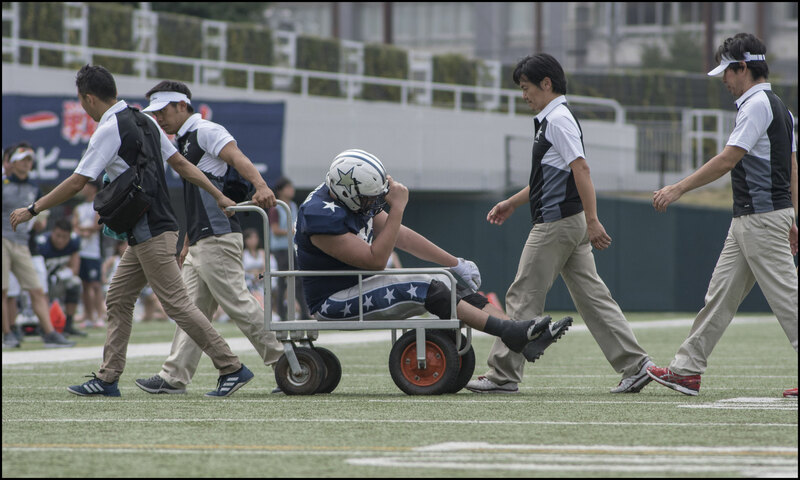 It wasn’t all plain sailing for Silver Star though as they were flagged for delay of game, false starts and also a late hit, which Arima would later call, “unnecessary”. 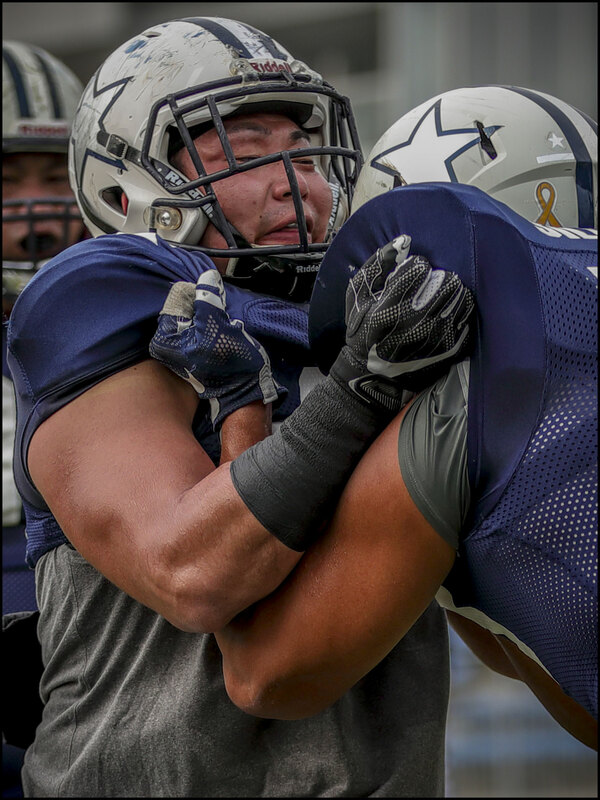 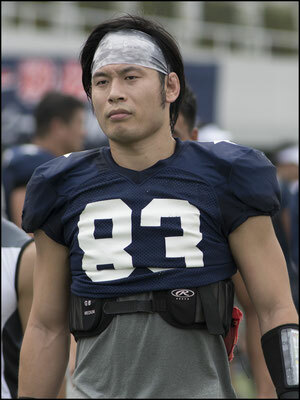 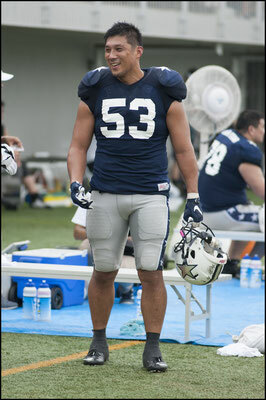 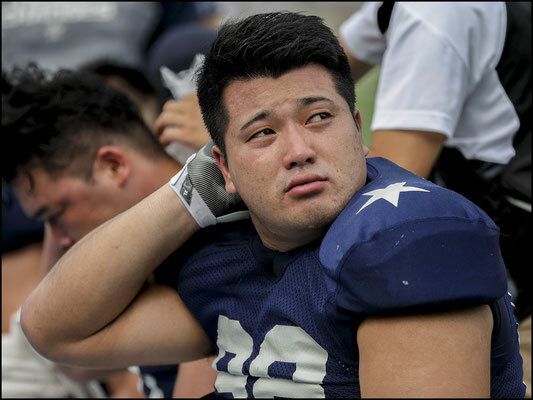 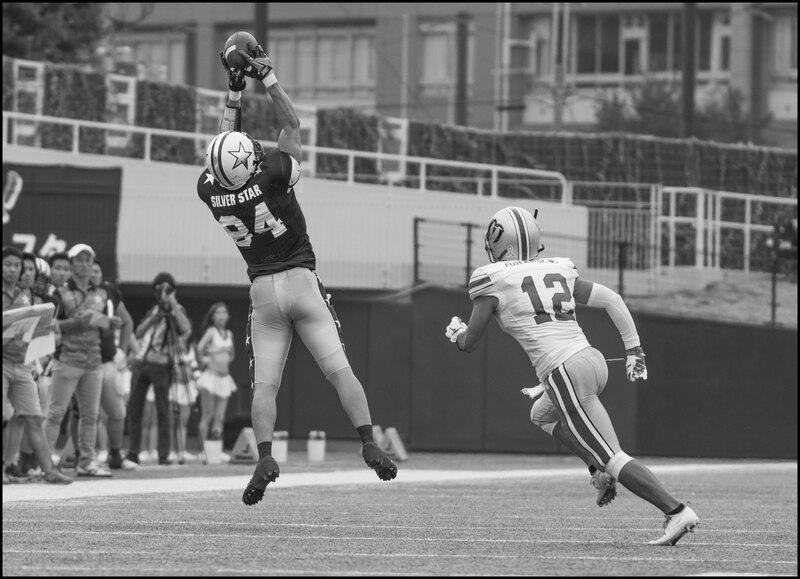 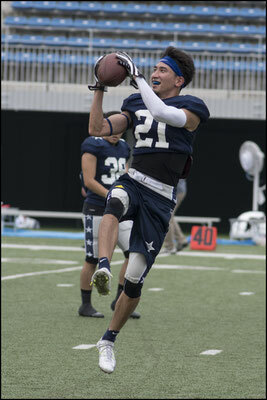 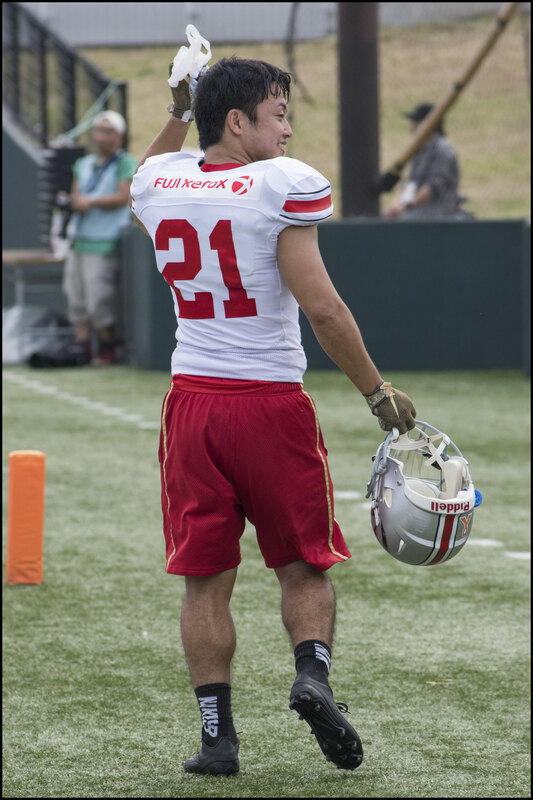 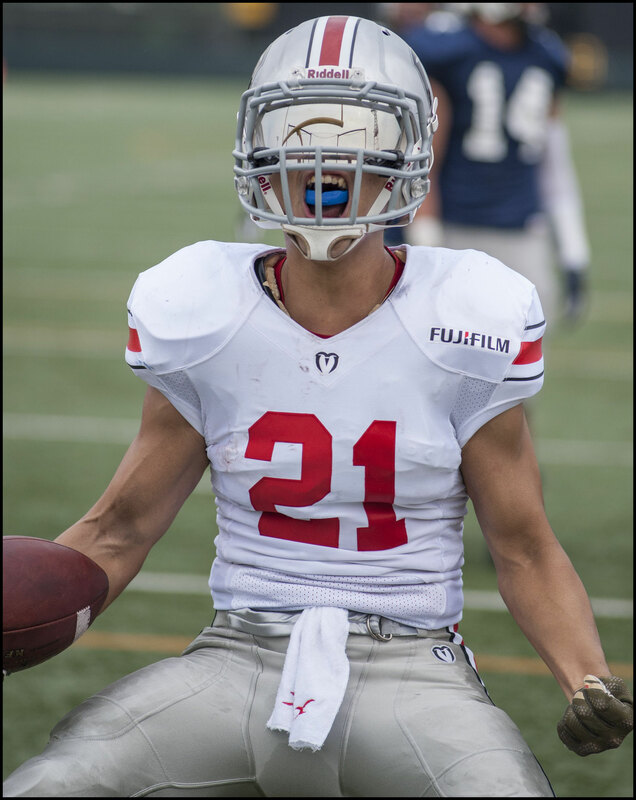 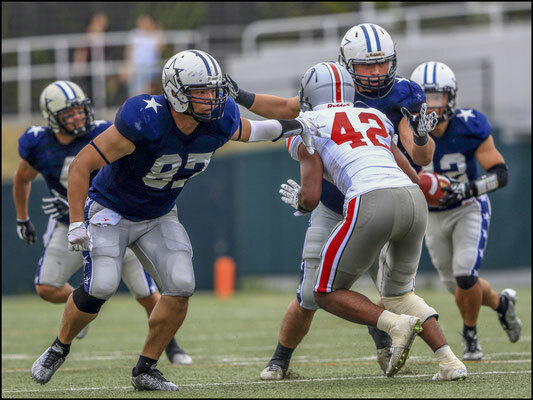 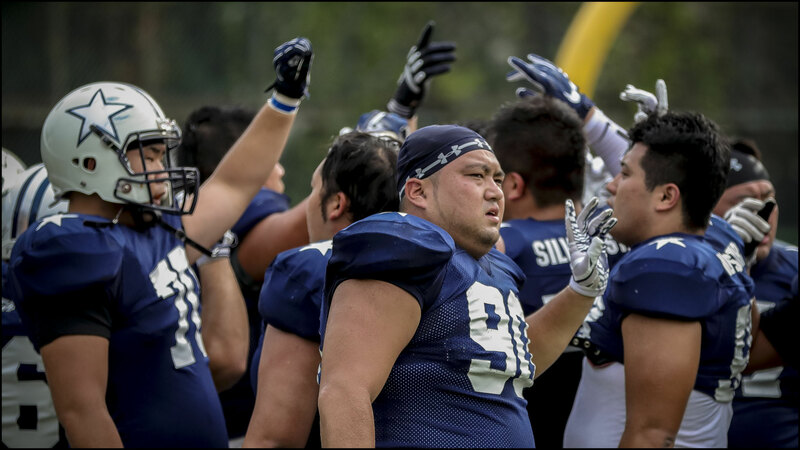 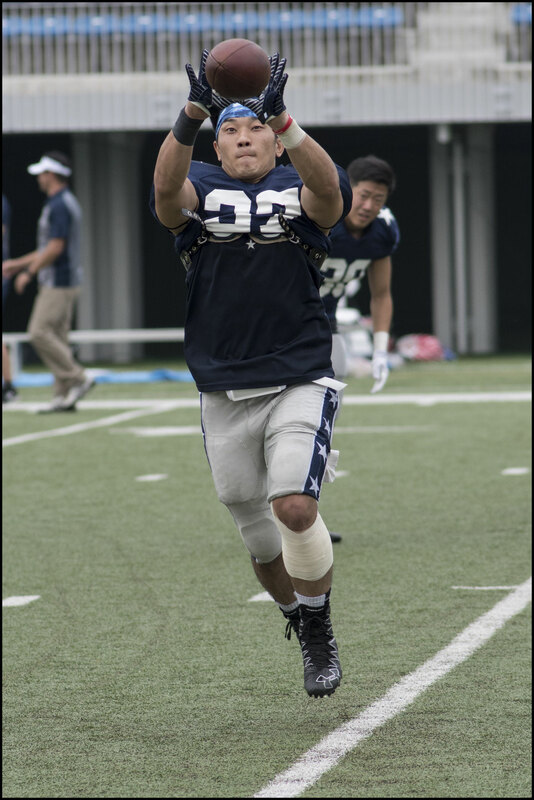 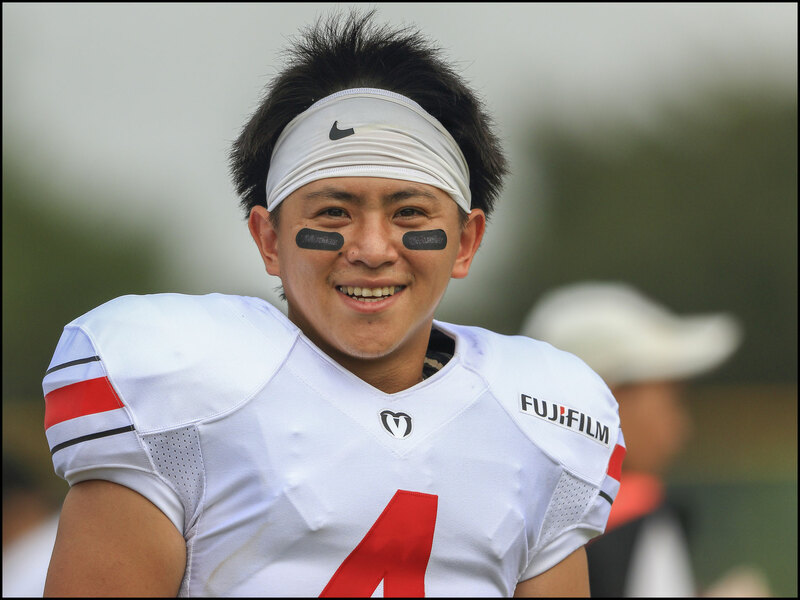 Late in the second quarter, Kazuma Ando, who had given his team a comfortable lead, was rested so that Takafumi Suzuki could gain some experience. Suzuki was effective, and remained in for the rest of the game. 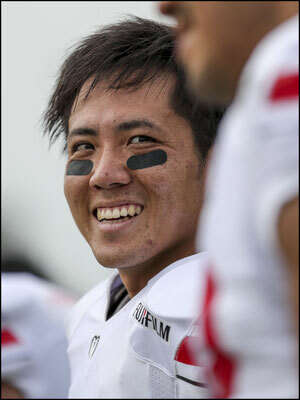 He connected on nine out of fourteen passes, with two touchdowns, the second of which was a well-executed 24-yard pass to Kobayashi for the final TD of the game. 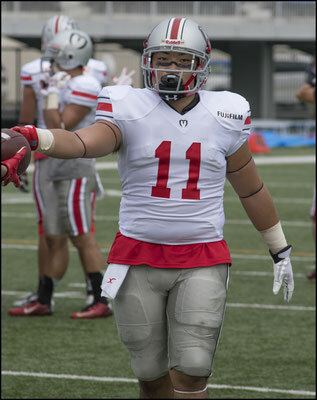 Minerva’s most memorable moment of the game was in the third quarter. 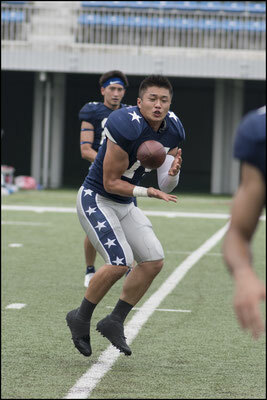 Silver Star drove steadily down the field and had a first down on the five-yard line. 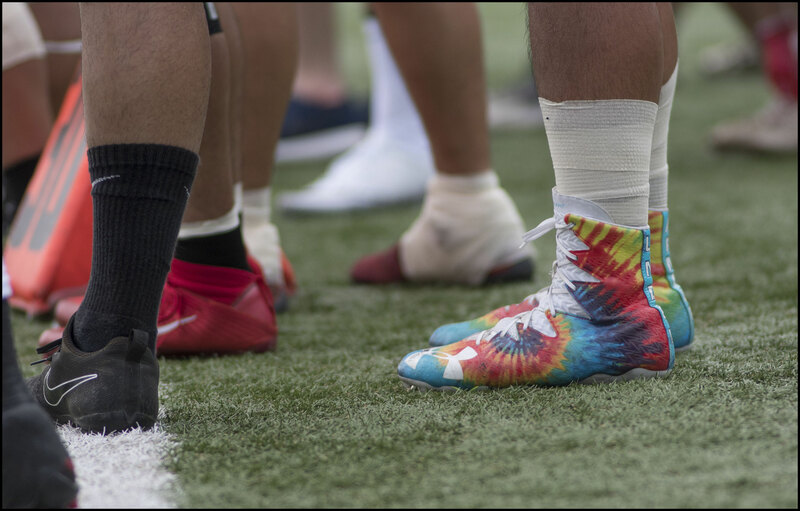 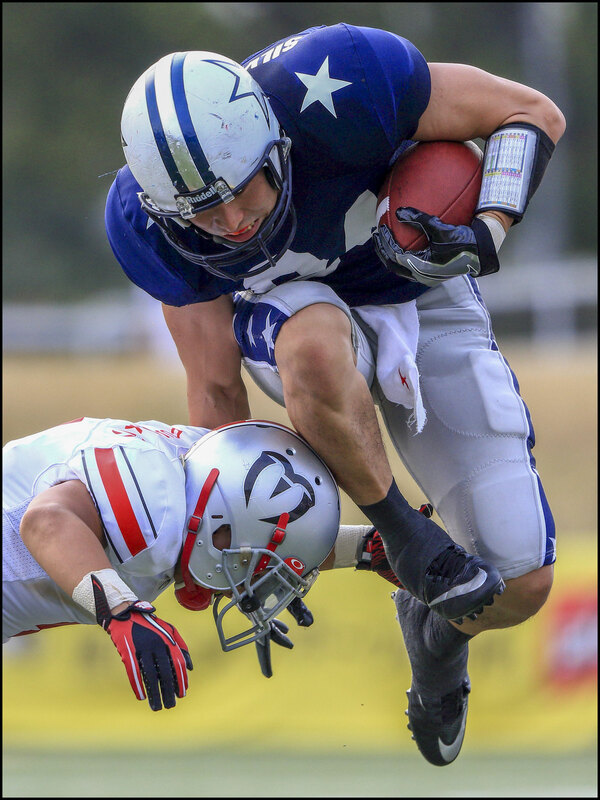 Minerva though held strong and after a false start put Silver Star back to the ten-yard line, they faked a field goal, and the kicker Yoshinori Iijima, tried to run it in. 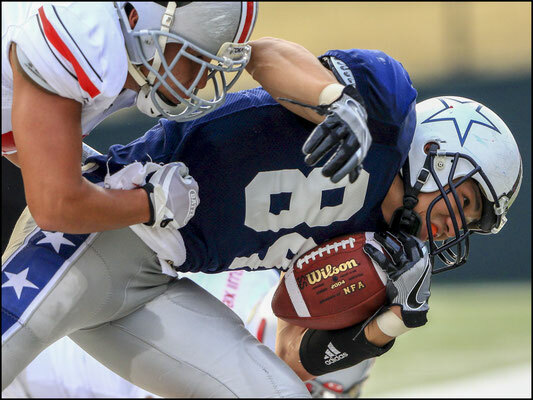 But by now wise to Silver Stars faking ways, Minerva picked it up and stopped him just short of the goal line. As valiant as this stand was, Minerva’s offense could not capitalize on it with all remaining drives, bar one failed fourth down attempt, ending in punts. 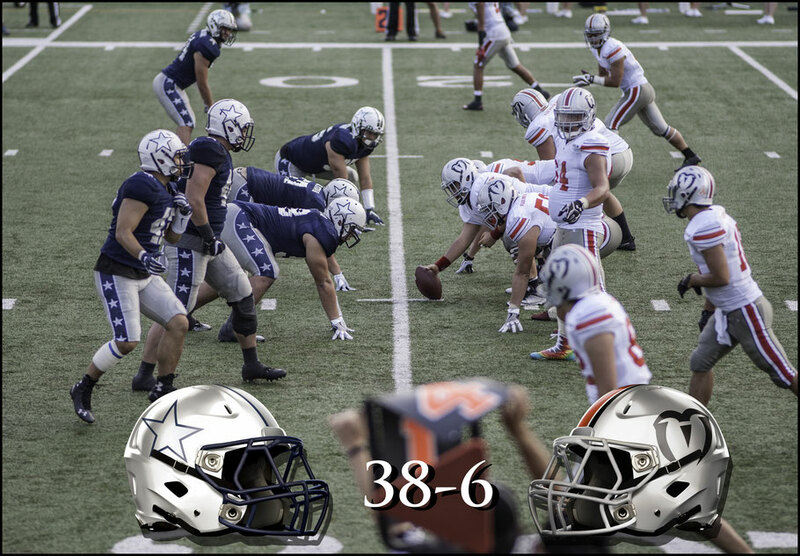 Minerva played it very conservatively. More than once, when the game was already out of reach, they chose to punt rather than risk giving Silver Star good field position. 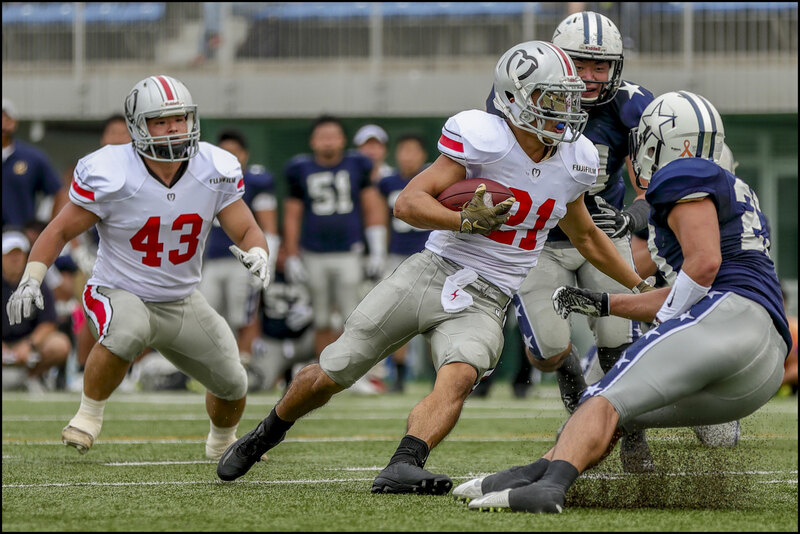 The biggest gap in performance was in rushing. 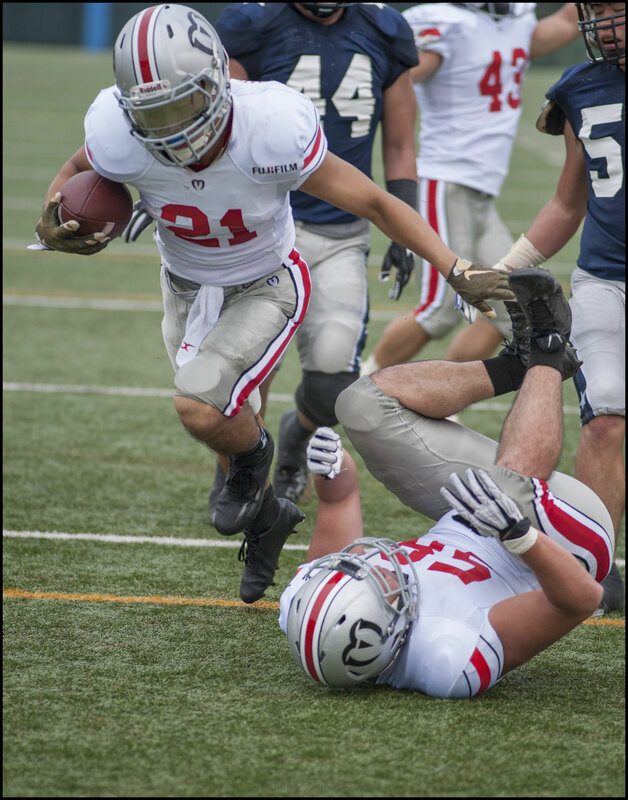 Both teams ran 33 times, but Silver Star gained 162 yards to Minerva’s 52. 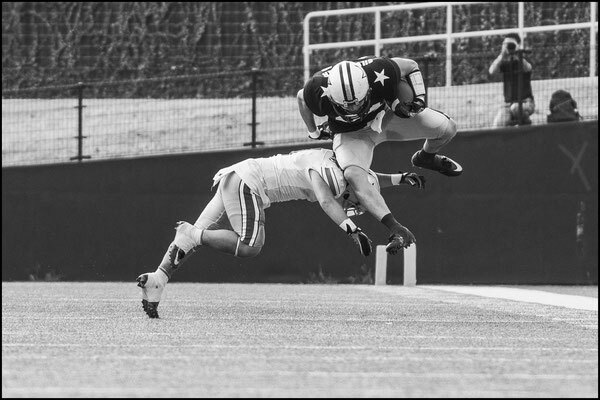 Silver Star also had 176 yards in the air compared to Minerva’s 66 yards, though completion percentages were roughly comparable. 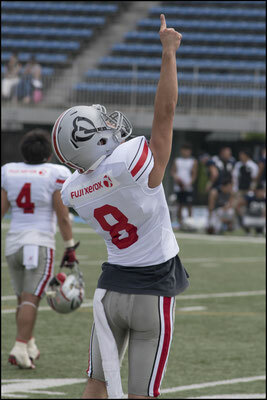 Wideout Yuta Hayashi, who led the league in touchdown receptions in spring had two more against Minerva. Arima after the game lamented his team’s mistakes and expressed hope they would improve in this area when they face national champion Fujitsu Frontiers next time out. 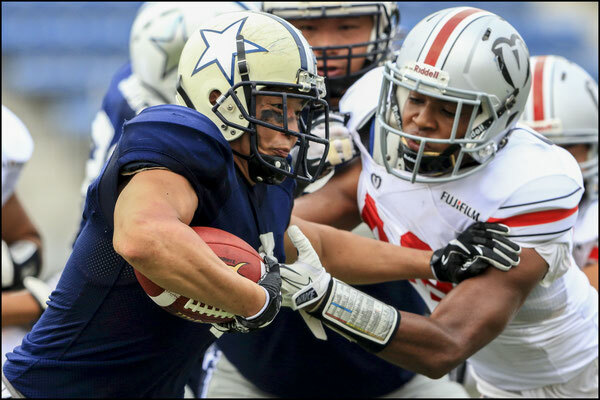 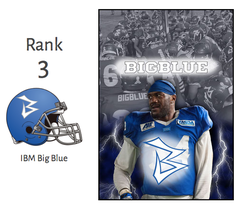 Three new American players have already joined Silver Star, but were unavailable for various reasons this time out. The team expects OLB Julian Gener and DT Mustafa Jalil to play in game two. 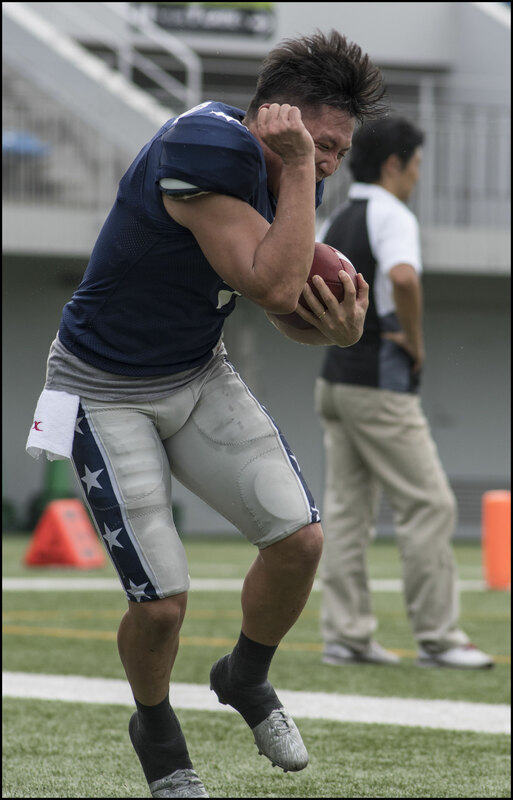 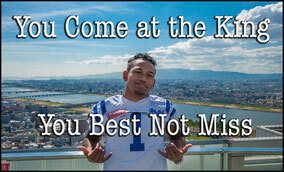 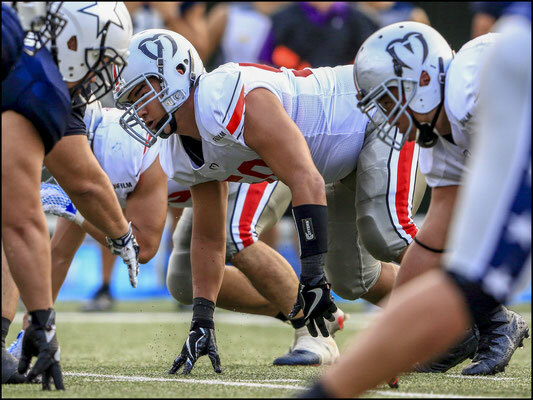 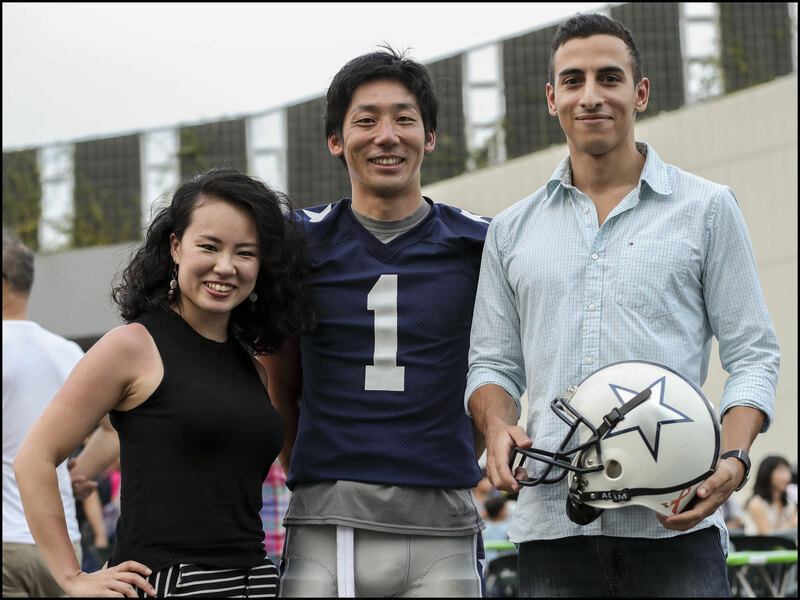 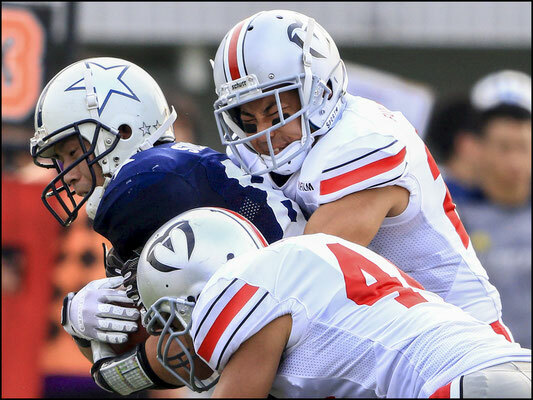 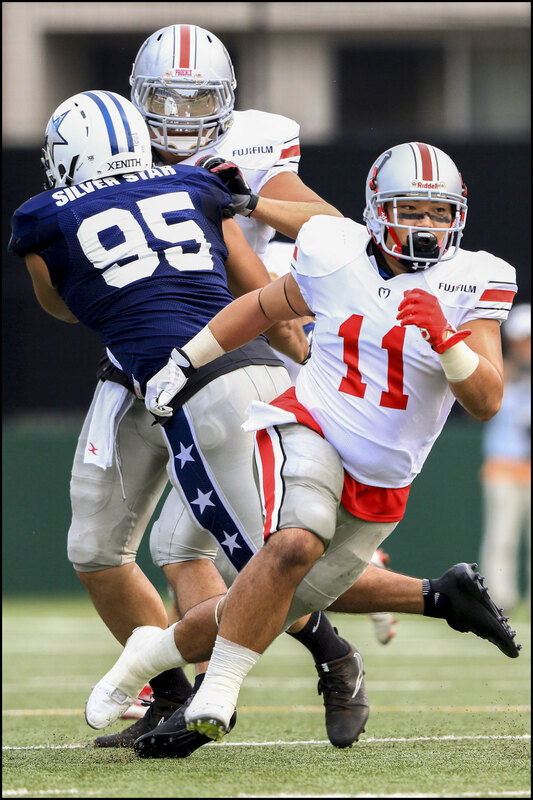 QB Justin Alo, is currently back in the US, but will soon return to Japan. 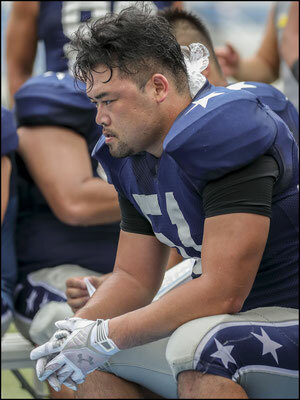 When asked whether he thought Alo would be starting at once he returns, Arima said he would make a decision after he has seen more practice sessions.